Another old knitting book, but this one is really different. 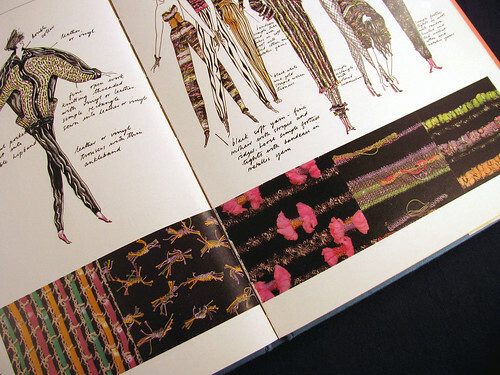 The designs are meant to be inspirational rather than literal. 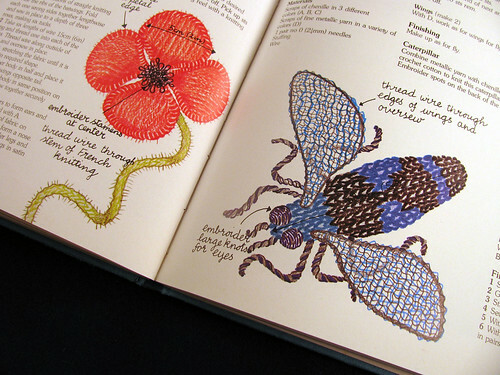 Of course you could make exact copies of some of the designs, but I think the editors wanted to give suggestions for knitters to expand their vocabulary, so to speak. It is a hard book to describe in a few words. It has all the basic information any knitter could want to produce an original design and have it fit, but it also has lots of techniques one wouldn’t normally come across in a knitting book. The section on shaping and stuffing include papier-mache and plaster of paris directions. The book was published in 1979 by Mitchell Beazley Publihers Limited. The United States version I have additionally lists A&W Publishers, Inc. The author isn’t listed, just many editors. There are lots of ideas for embellishing knits, both while it is being knit and afterwards. This is just one such page. There are also some fun and unusual patterns. This is a wonderful book. 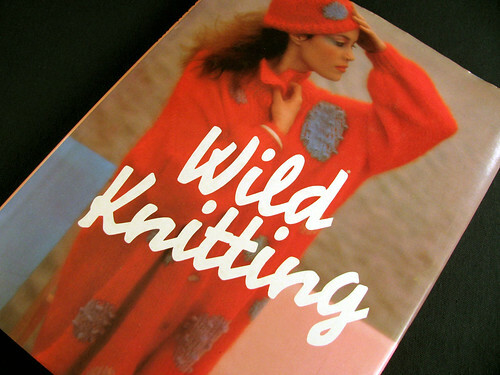 It is one that that an adventurous knitter would love to have on her bookshelf. This entry was posted on Monday, February 16th, 2009 at 3:00 am and is filed under Craft and Knitting. Tagged: Book, Craft, Knitting. You can feed this entry. You can leave a response, or trackback from your own site.